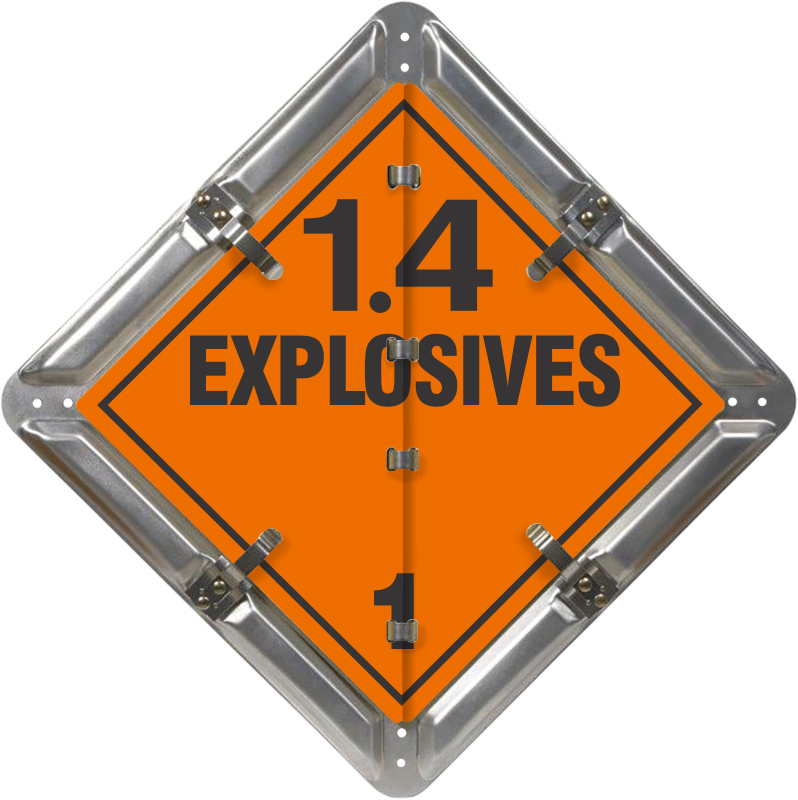 Contents Corrosive, Dangerous, Explosives, Flammable, Flammable Gas, Inhalation Hazard, Non-Flammable Gas, Oxidizer, Poison, Radioactive DOT placard flip panels. Four stainless steel spring clips lock your placard panel into place. Placard spring clips have double rivets for extra strength. • Find ten different screen-printed legends to comply with DOT specifications. Panel and panels are made from corrosion-resistant aluminum panels. Both the panels and the base plate are 32 mils thick (33% thicker than competitors’ panels). • Drain channels keep your placard ice and grime free. • Placard base panel comes with eight mounting holes. 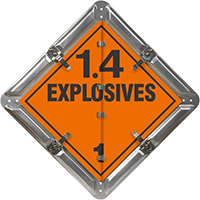 • Flip-n-Lock™ placards are made from unpainted aluminum.